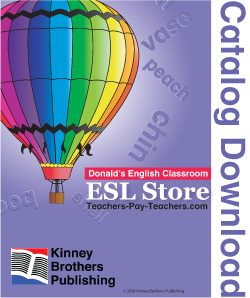 Our ESL Store catalog will give you an overview of all that Donald's English Classroom has to offer! From full textbooks, to charts, games, activities, and more, get the details of what's in store! Download, peruse at your leisure, and visit directly from this pdf file!